The Primaveras project is a modern interpretation of band’s music in its glory days, with the same desire to fuse the heritage of Catalonia with modern musical ideas. Mr. Dumas provides cool samples and smart scratches to this project, whilst the band provides considerable musical muscle. Another important role is played by French Saxophone hero Alex Augé, who has worked with the likes of The Wailers and Regg’lys. Augé supplies amazing brass arrangements, which are very important to this project. The other members of Primaveras are Patrick Félicès (bass), Thierry Lopez (Guitar), Sébastien Sanz (Keyboards), Vincent Vidalou (Tible and Tenora – traditional Catalonian woodwind instruments), Frédéric Guisset (Flute and Flaviol – Flaviol is a Catalonian flute) and Georges Vaills (Trombone). On occasions, the band is joined by La Cobla Catalana Mil.Lenaria, a Catalan instrumental ensemble that accompanies the traditional Catalonian La Sardana dance. La Cobla Catalana Mil.Lenaria gives the group a big band set up in live environments. 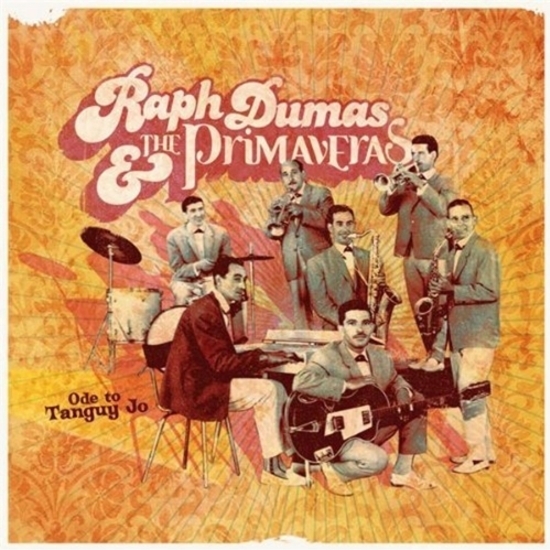 The first LP from Raph Dumas & the Primaveras entitled Ode to Tanguy Jo is a unique album. The title refers to the classic Ode To Billie Joe song and is a tribute to Tanguy Jo and his secret band. It explores various musical horizons, melding together gutsy rhythms from various dance genres with improvisational ideals from jazz, raw funk power and ancestral Catalonian sounds. On paper, this musical mix sounds hard to stomach, but the various flavours work together wonderfully. There are a number of highlights on this remarkable album. Le Chanson Douce (Soul Long Edit) is a playful ditty featuring a twanging plastic guitar, reliable percussion and sweet vocals from Dumas’s 4-year-old daughter Lou. Zodiac is a jumping jazz effort, with sprightly sax, pushy trombones and kicking drums. Week End (BCN Edit) is a riotous celebration of the time to party, where grooving guitars, lovely strings and looped vocals play their part. The album brims with excitement and individual character from start to finish.